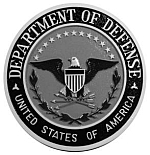 There are ongoing efforts across DoD to use social networking sites and Web 2.0 capabilities in an effort to inform interested communities of people about operations of the Department of Defense and the Uniformed Services. These have become integral tools in some day to day operations and have become commonplace to many people changing the way they communicate not only with friends and families, but with organizations and businesses. These tools have also facilitated a change in the way people inform themselves and gather news. As with any new technology, there are vulnerabilities that arise as they are adopted and threats that emerge as they are adapted to operations. We have a responsibility to find the balance between the value and the vulnerabilities and to train for the threats we perceive. I like the “balance” idea, even though it will be difficult to implement in practice. The first is that different communities have different needs. Families don’t have the same needs as their members away on active duty. A pentagon official doesn’t have the same needs as a research scientist working on campus on a research grant. We need to look at how these different “communities” operate and interact. The second is that managing technology is not the same as managing communications. Emerging and widely accessible technologies underpinning popular social media and social networking systems make up only a small part of the problem; it’s how people use these techonlogies that really counts. I’m glad that the need families have to communicate is being addressed. Family communications make up only one of the many “communities of interest” that a web 2.0 policy has to take into account. At a high level, a coherent Web 2.0 policy must address three communication segments: (1) internal to internal communications (e.g., DOD people communicating among themselves), (2) internal to external communications (e.g., communication between DoD people and their families, government-to-vendor communications, etc. ), and (3) communication among external groups about DoD related events and activities (e.g., families communicating among themselves). Issues such as security, transparency, culture, control, privacy, intellectual property, law, and technology will differ across these three segments. So far the most publicized controversies appear to have arisen around the second segment, internal to external communications. But all three segments raise challenging policy questions. Hopefully, emerging web 2.0 policies will address the different communications occurring among different groups and not just approach policy from the perspective of managing technology, which is only one part of the puzzle. Copyright (c) 2009 by Dennis D. McDonald. Dennis’ contact information is here. As noted in my earlier post, you need to consier the needs of the different communities involved in order to begin to develop a coherent policy.